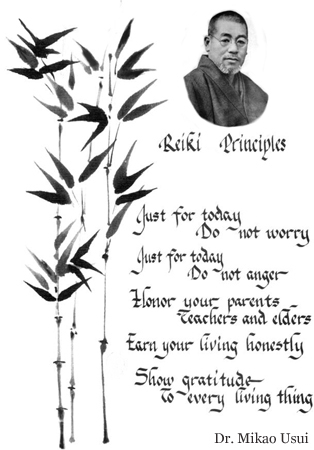 Reiki is a gentle, simple and very powerful technique that provides benefits on all levels: physical, mental, emotional and spiritual. At a minimum, a Reiki session causes deep relaxation and reduction of the stress response which also promotes healing. It’s administered by either the laying on of hands or by holding the hands a few inches above the body. I have been a Reiki practitioner and teacher since 2001 and offer Reiki sessions and training in the beautiful Sonoma County area of Northern California. I also offer Distant Reiki Sessions. Low income, senior citizens and students price/bartering by negotiation. No one is turned away for lack of funds for a Distant Reiki Session. Master/Teacher training length is different for each individual and takes as many sessions as needed (within reason) for proficiency. The Master/Teacher Degree is not for everyone, some take the Third Degree training but do not wish to teach others, it’s really up to you to decide what is right for you. If you are interested please contact me here.